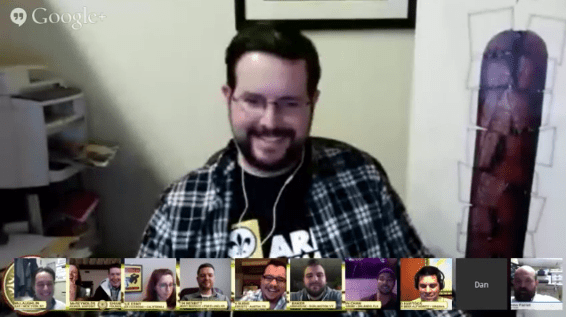 The Simultap was an in-depth conversation that zoomed in to talk about Hi-Res, its ingredients, its spirit and its tasting notes, as well as about the participants and their connections to beer. It also zoomed out, to talk about American beer as a whole, about the direction of the IPA and about the progression of American hops. Intros begin at 1:20 with Andy, and are great for a couple reasons. Many of our participants are representatives from premiere beer locations across the country, spots you won’t want to miss as you travel the US (in search of great beer). And all of the tasters are important beer personalities, who make for interesting conversation on various Social Medias. At 20:03 beers have been poured and Shane explains the spirit of the formulation, and the concept behind Hi-Res. At 21:53 Dan McLaughlin takes a sip and the tasting begins. Different participants weighed in on a multitude of aspects of the brew, from flavor notes to where the hops strike the palate, from the dance of alcohol and sweetness to where Hi-Res fits in the evolving conversation of the IPA. For the most complete impression of this multi-faceted beer, we recommend watching this portion straight through. Jason’s comments on what segment of the population might particularly enjoy Hi-Res set off an interesting discussion on equality of palate, which begins at 36:58 and lasts for a few minutes. At 44:52 the participants continue their individual impressions as David provides his. The impressions wrap up, and at 52:00 Shane discusses what could have potentially have been improved about the beer. Again, the entire Simultap is compelling, full of great information from a variety of experts. We hope you enjoy watching. Let us know any impressions of the tasting on Twitter using #Simultap. Gathering around cups of great beer has formed communal bonds for thousands of years. The modern beer community, with sites like Untappd and BeerAdvocate, stretches to span continents—the local pub is not the only way to enjoy a beer among good company. The Hi-Res Simultap is our contribution to cultivating the online pub scene. For the Simultap we’re bringing together friends, experts and beer fans from across the country in a Google Hangout to taste Hi-Res. Expect fireworks, as Hi-Res is a massive brew – a sequel to Resin – that turns the dial to 11. If you haven’t seen the trailer yet, check it out here. For Tasting Global, our online tasting of Global Warmer, we put up the recorded video after the tasting. For the Simultap, we’re going to do it live. Jeff Baker from The Farmhouse in Burlington, Vermont. 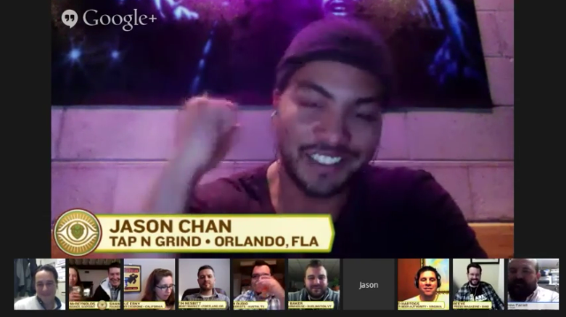 Jason Chan from Tap and Grind in Orlando, Florida. Dan Mclaughlin from The Pony Bar in New York City. David Hartogs from the Better Beer Authority. Nicole Erny, a Master Cicerone from California. Dan Reeve, of Resin Clone lore and contributor to Cigar Press Magazine, from Ohio. John Rubio, host of The Beerists in Austin, Texas. Andy Farrell from the City Tap House in Philadelphia. Justin Nesbitt from Beaumont Market in Portland, Oregon. Heather McReynolds, brewer at Sixpoint. Shane Welch founder of Sixpoint.